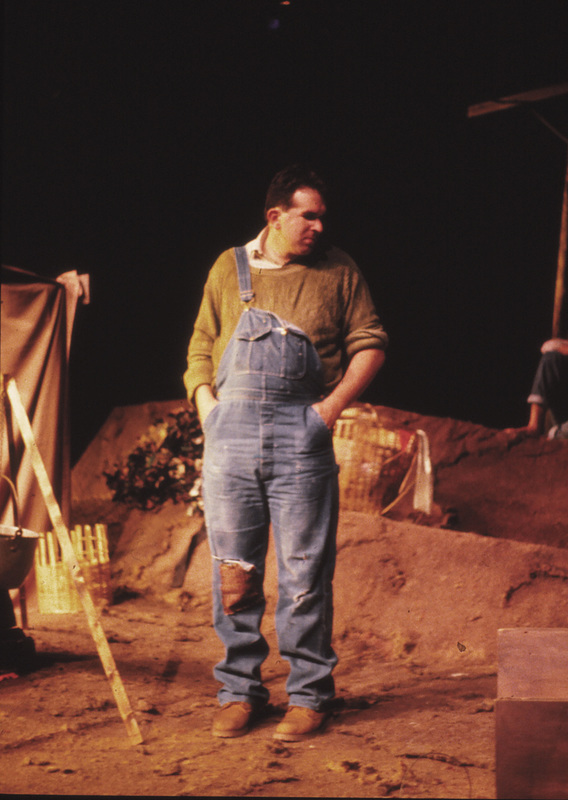 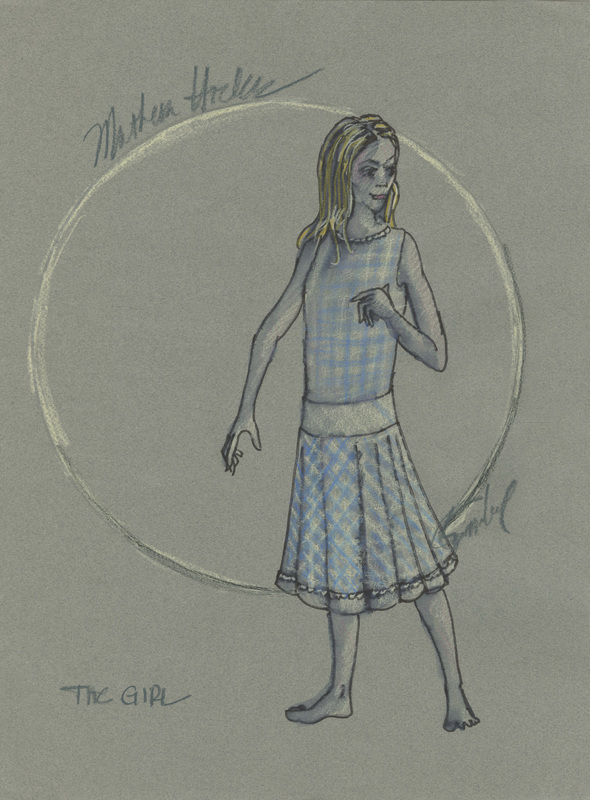 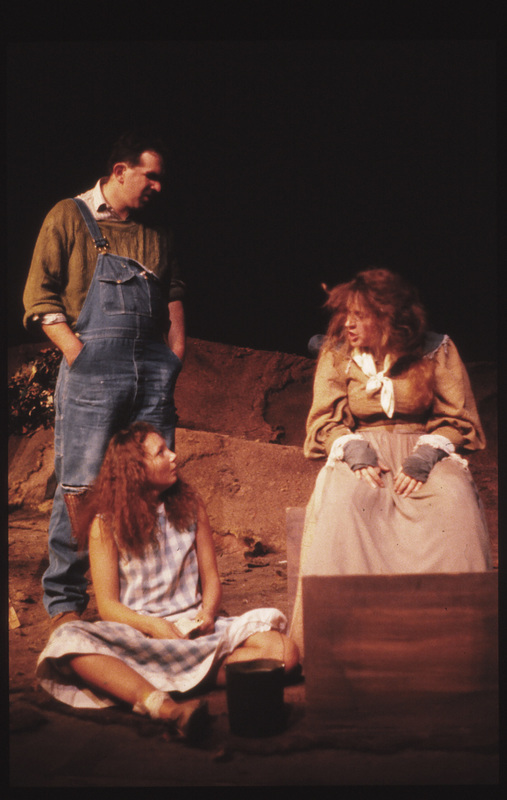 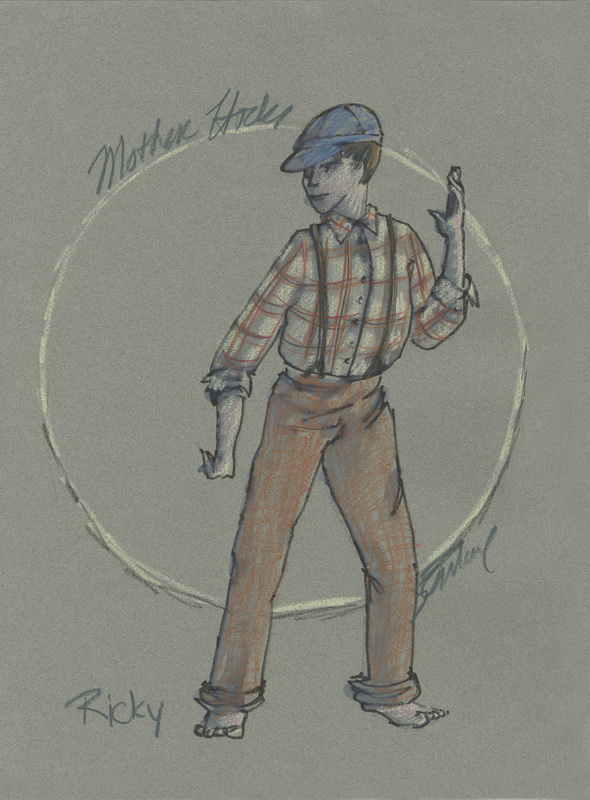 This production of MOTHER HICKS was staged on the Pardoe Theatre at Brigham Young University. 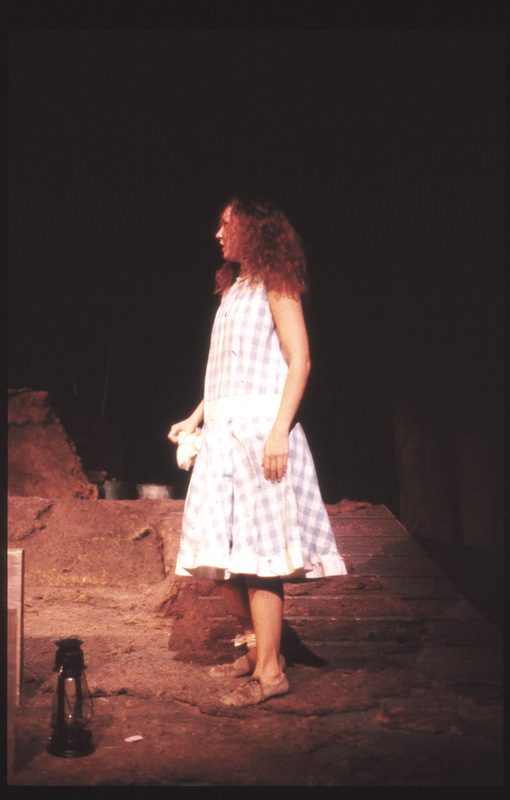 It was directed by David Morgan. 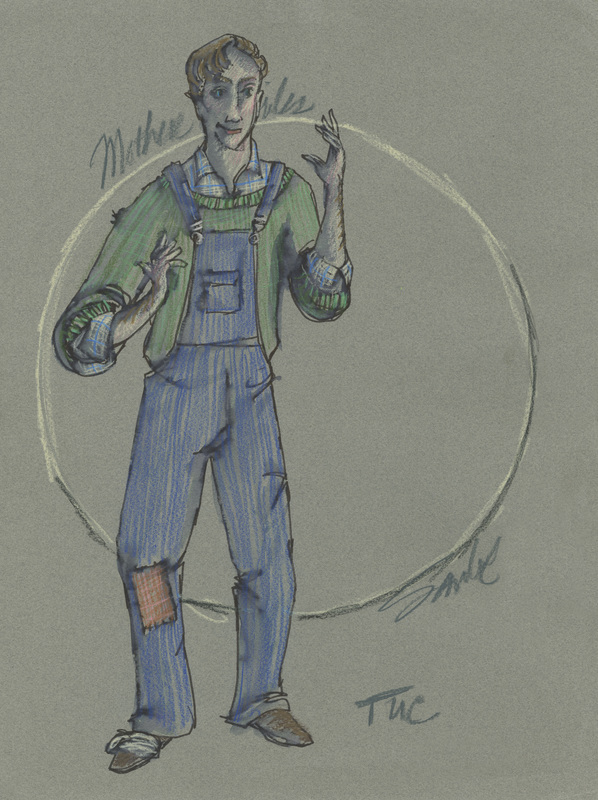 The director wanted a perspective view of the world of these characters, with a concept of how we view others. 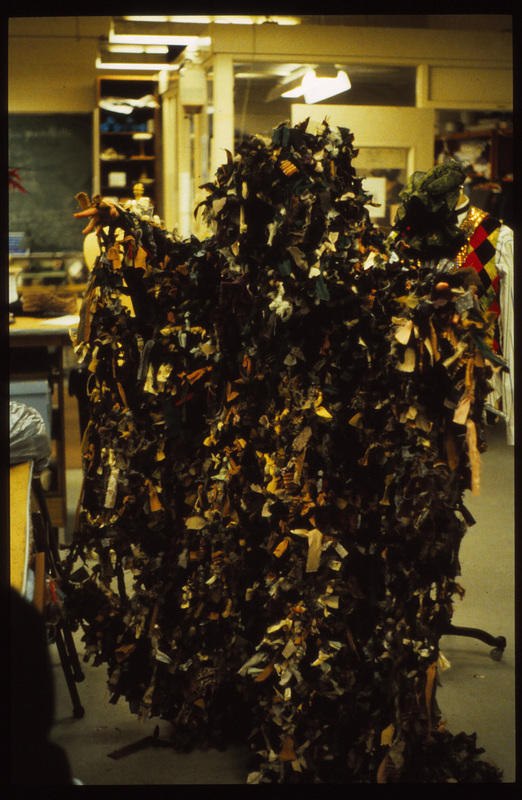 The costume design presented the texture of their world with colors of the earth, especially for the principle characters. 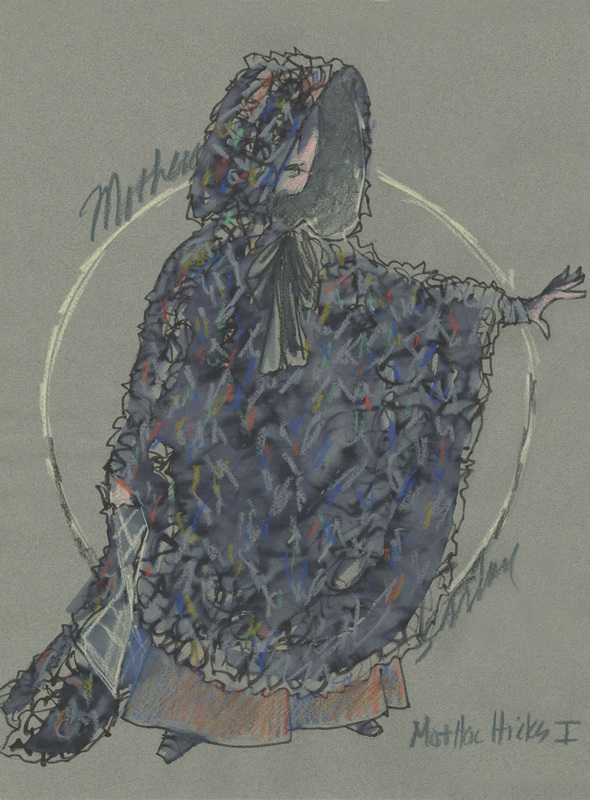 Mother Hicks wore a ragged cape made up of all the fabrics of the rest of the characters, showing how her mysterious presence influenced everyone on the mountain.